If there is one story you read this year, get this one..
Katherine and Jay married right after college and went on an adventure far from home in Los Angeles, CA. As they pursued their dreams, they planted their lives in the city and in their church community. Their son, James, came along unexpectedly in the fall of 2007, and just 6 months later, everything changed in a moment for this young family. Now 8 years later they are living their new normal and they just announced a second baby for their family. I could not stop reading this book. 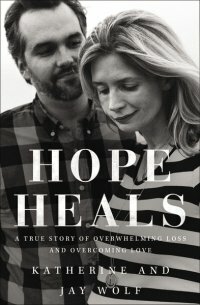 It is a story of suffering, restoration, and a Christ Centered hope as the ministry hope heals.